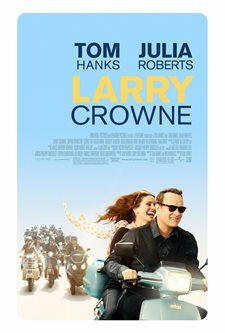 Download Larry Crowne in Digital HD from the iTunes store. 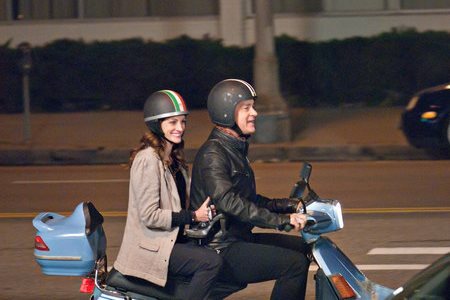 Larry Crowne images are © Universal Pictures. All Rights Reserved. The newest film from Tom Hanks is called Larry Crowne which is about a well-mannered middle aged man who finds himself the latest person on the unemployment line and what would at first seem to be a difficult transition winds up becoming a journey into a better life. 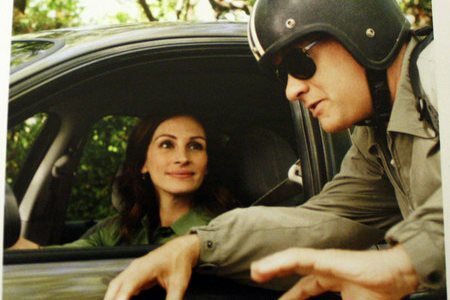 Larry Crowne (Hanks) is an employee of the fictional mega-store UMart. He is the rare type of employee who truly enjoys his work, he is not only dedicated but also overly motivated to be a good employee. At no point does this come from a place of dishonesty or maliciousness, he is just a good man who wishes to be the best he can be. One day though events in Larry's life take an alternate route, the higher-up's at UMart inform Larry that he is being let go from his job due to the fact that they are unable to promote him because of his lack of an college education. Unable to find another job and in difficult financial straits Larry is forced to begin selling off much of his belongings. His neighbors Lamar and Rita (Cedric the Entertainer & Taraji Henson) are more than happy to assist him in selling his things. It is Lamar who comes up with the idea that Larry should enroll in community college to increase his skills so he won't find himself in this situation again. At this point we are introduced to Mercy Tainot (Julia Roberts) who is a professor at the college Larry is now attending and is teaching his class entitled Speech 217. Unlike Larry, Mercy is not happy with her life, her husband Dean (Brian Cranston) is an unemployed writer who hasn't written anything in a long time and spends his days looking at adult pictures on the internet. This unhappiness translates into her work and comes off as a general displeasure with everything around her. When she first meets Larry all she sees is another student in a blur of faces. On that same day Larry finds a new friend in Talia (Gugu MBatha-Raw) a free-spirited young girl whom he met after becoming an owner of a scooter he purchased from Lamar. Talia asks Larry to join her scooter gang and what was at first one friend becomes a pack of new friends for Larry. Larry being such a well-mannered and easy going fellow it isn't hard for him to adjust to this large addition of friends. Talia helps Larry in many ways, she forces him to dress better, helps adjust his household so it has more "flow" and reminds him that just because life has set backs doesn't mean it has be something negative. There isn't much of a message in Larry Crowne, the film doesn't try to present itself like your typical romantic comedy where there is a large misunderstanding between the two leads and they are forced to reconcile at the end of the movie so they can be together. Instead this movie just seems to shuffle along until the final moment that the two leads wind up together, what makes it feel different is the fact that these two people were not looking for love but found something unique within each other. Both Hanks and Roberts deliver good performances which help keep the interest of the viewer, though its Hanks' storyline that has the real draw here. Watching him turn his life around without actually setting out to do so is actually refreshing on screen. The supporting cast only really succeeds in moving some of the plot along, none of them really have any time on screen to shine, but that never really takes away from any enjoyment that can be had here. What Larry Crowne does succeed in is telling a nice comfortable story about two people who, through misfortune, find a connection that neither was expecting and that is the only time love actually has a chance of success. 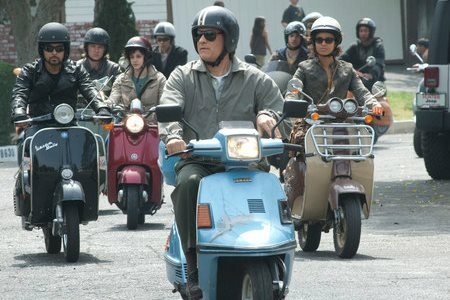 Larry Crowne images © Universal Pictures. All Rights Reserved.